Multifired tile is a technological advancement that has us (and the tile industry) pretty excited lately. 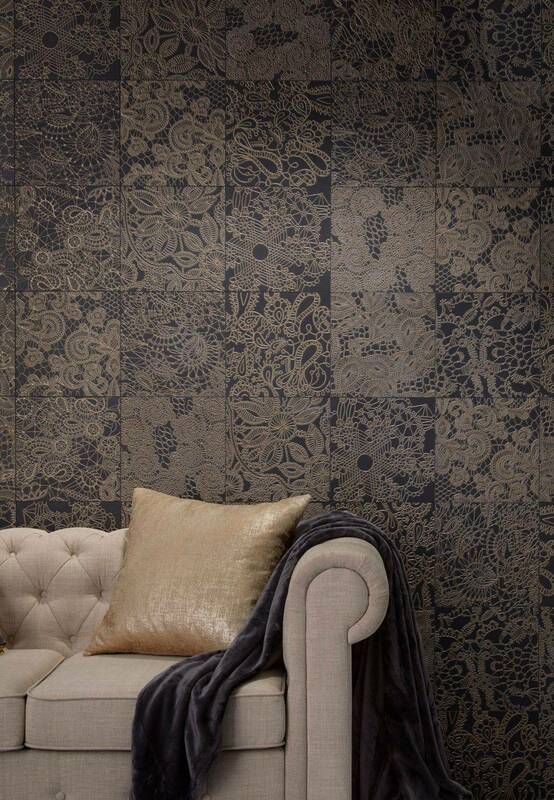 These pieces are unlike any others, with metallic details, intricate patterns, dimension and other unique features. We’re going to break down the intricate process required to create them, explain what makes these tiles so special and show you a glimpse at some of the beautiful new multifired products we have in our stores. This interesting process is actually much more time-consuming and involved than it sounds. First, raw materials are mixed together and shaped. Once the materials dry, each firing that the tiles go through has to be at a specific temperature. In the manufacturing facility, kilns have a temperature schedule over a month. This means that a batch of tiles has to wait until the kiln is at the exact temperature prescribed for each firing. With three or four total firings at different temperatures and cooling periods in between, it’s easy to see how this draws out the process. This added time and attention required increases the value of the tiles. After the first firing, which defines the body or bisque of the tile, the second firing establishes the base color. The glazes that are applied before the third or fourth firings are often digitally printed onto the tile into intricate patterns. This type of glaze holds its shape more than others resulting in a 3-D effect. All multifired tiles have some element of dimension and texture due to this glazing process. After a last firing and cooling, the tiles are finally complete works of art. This extended process of cooling, waiting and firing produces a very special porcelain or ceramic tile. Now that we know about the process, let’s talk tile. The effects created are much more unique than the process itself. Beautiful pearlescent, iridescent and metallic finishes are possible with three- and four-fire tiles. 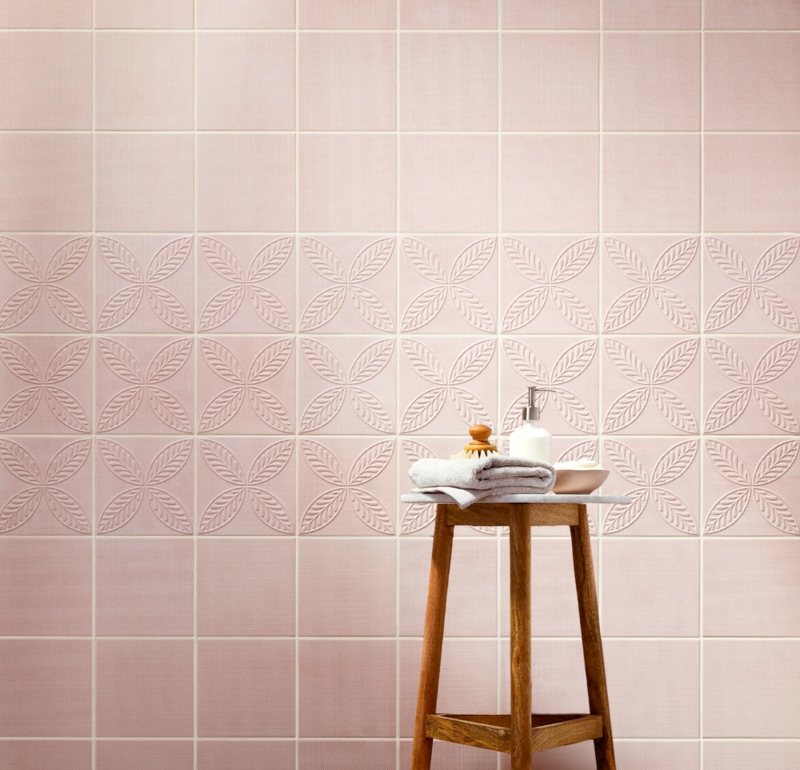 3-D effects take tiles to another dimension, adding textures unlike anything you’ve seen before. In the image below, Stencil Light AC wows with bold, artistic strokes, and the dimension of the tiles adds even more intrigue. 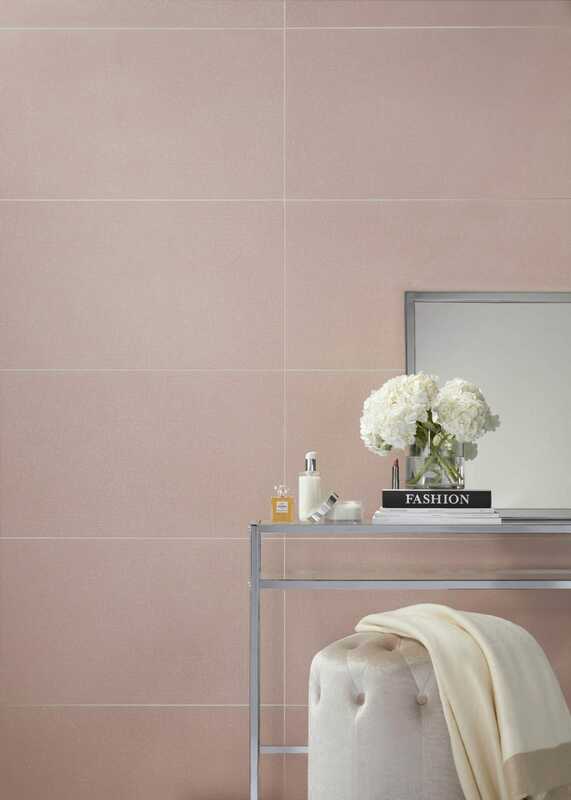 Tiles that are this bold and statement making take some thoughtful planning to use in your home. While a stand-out design is the goal, it’s important that your multifired tile also fits into your space. 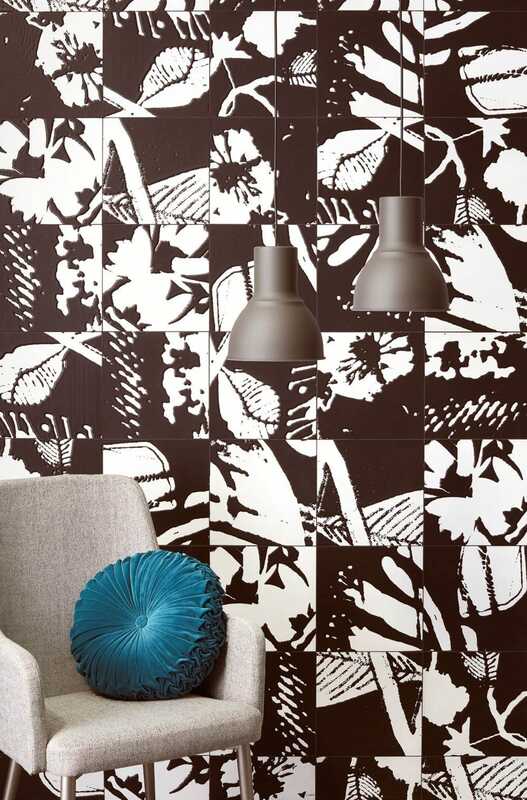 “A great way to design with multifired tiles is to use them like wallpaper. Tile is so much better than wallpaper because it won’t peel and it can be wiped down, perfect for families with kids and pets,” says Kirsty Froelich, Tile Shop design manager. Installing tile on an accent wall delivers floor-to-ceiling pattern just like a wallpaper would. “Effect is so tactile—you want to reach out and touch it,” says Kirsty Froelich, design manager. Kirsty has a few additional tips for designing with bold, multifired tiles. When creating a wall that features patterned tiles along with solids, don’t forget to make a smooth transition between the two while increasing the designer effect. Layering pieces that feature elements of both tiles tie them together and create a cohesive feeling. We love how layering this stunning DURAL Plus Gold 24K in between two black Somersets brings out the gold tones in Effect Dark AC while finishing the edge. 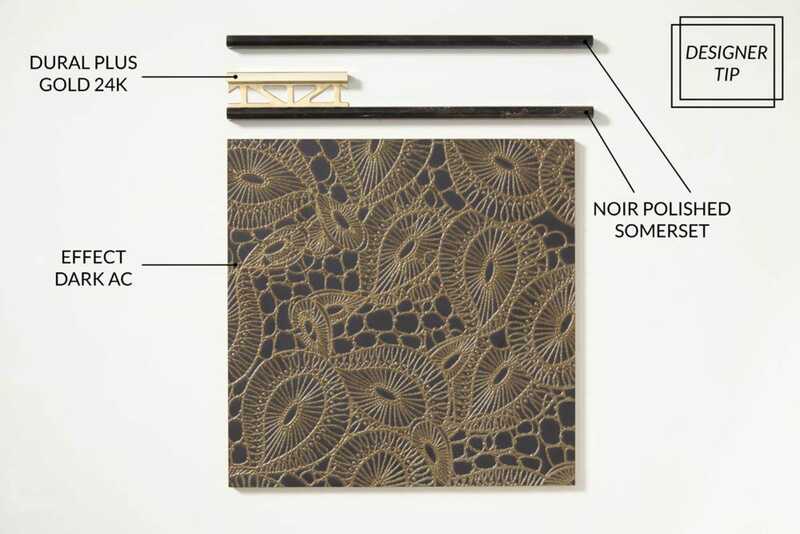 Below is a closer look at how to layer trim pieces that bring out the colors of your tile. Layering finishing pieces with multifired tile give the look a designer touch and brings out accent colors. Tile has been around for a long time. Until recently, the majority of tiles produced have been one or two fire. That makes this new process one of the most exciting in years. The advancements in technology have made designs possible that would never have been imaginable in the past. And we love that it enables us to offer the newest styles and the cutting-edge trends to our customers. Excited about multifired tiles? So are we! Stop into your closest Tile Shop, and ask to see what’s new in three- and four-fire tiles—and prepare to be wowed.